You can make the first step in spam prevention by altering the discussion settings in WordPress. Go to your admin panel – Settings – Discussion. The image below will list out 7 settings to help prevent spam. On most blogs it is mandatory to have the comment author fill out the name and email before they’re able to make a comment. This is a very basic way to prevent your blog from computerized spam comments. Be aware that spammers and spam software get more advanced, so apart from switching this feature on, you should have a spam blocking plugin installed. 2. User must be registered and logged in to comment. If your site deals with registered users only, switch this option on. If you don’t have a user registration form and want to give all visitors the option to comment, do not select this. You can close the comment option after a certain time frame. This comes in handy when you write about subjects that are time related, such as trends etc. Checking this, every time somebody posts a comment to your post will send out an email to the site admin to take further action. Make sure you select this, so you’re always aware when a comment has been posted. If you’re interacting with your readers, this option will also help keeping up-to-date with the latest comments, so you can answer them almost immediately. Manual approval of comments keeps you in full control of what comments will show up on your post. You have the option to skip this procedure for users who were approved previously. If a comment has 2 or more links, it is often a spam comment. You can put them on hold by selecting this option. If you’re still getting a lot of spam, lower this option to 1 comment. Some spammers just can’t stop sending the same content over and over again. With this option you can filter out these comments. You can even block IP or email addresses. Akismet comes bundled with every WordPress installation. in order to use this plugin, you must obtain a license key from the Akismet website. After installing the license key and activating the plugin, all spam comments will automatically go to the spam box. You won’t get notified by email when a spam comment has been posted, this plugin just does the job. It will keep the spam comments in the spam folder for 15 Days before deleting them. Captcha shows an image containing characters. Before posting, users must type those characters into the Captcha field. It makes it somewhat harder for both spammers and real users to use the comment form. If a spammer gets through, this plugin will not recognize it as spam and the comment will be treated as any other comment (unless you have installed another spam filter plugin). Anti-Spam by CleantTalk is an all-in-one anti-spam tool that will fight spam on all form fields. This software will protect your site without having to use Captcha. Your Woocommerce powered website will also be protected from fake registrations, product reviews and fake orders. WP-Spamshield Anti-Spam is a powerful WordPress anti-spam plugin that eliminates comment spam, trackback spam, contact form spam & registration spam. This software supports the most popular form and newsletter plugins as well. Spam comments won’t end up at your website at all, instead they will be blocked from posting. This saves you time from going over your spam folder. Antispam Bee is basically a collection of anti-spam tools that will help filtering out spam comments. You can block comments from certain countries and restrict them to a certain language. On your WordPress dashboard you’ll be presented with the spam statistics. Anti-Spam is the name of this anti-spam tool. Simple, straight forward spam prevention without the need of a Captcha code. This plugin blocks only spam from the comments section. If you need a more overall approach, you have to install other plugins as well. WP-SpamFree Anti-Spam works like a firewall to determine if your commenters are real human beings or automated spam computers. It is also possible to blacklist certain spammers, so all comments from a certain address will be blocked instantly. Instead of installing anti-spam commenting software on your own WordPress website, you can switch your comment platform to third party platforms. You can install Disqus or Epoch. 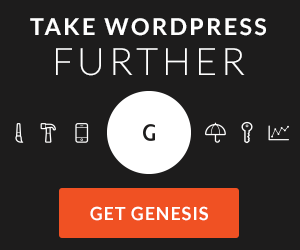 Both comment systems will integrate seamlessly with your WordPress powered website. Each system has its own layout structure that will most likely spice up the presentation of your user comments. Every website is different and therefore needs a specific anti-spam approach. What works for one site, doesn’t mean it will work for another website. I always try to use a minimal amount of plugins, so basically I start with installing Akismet. If I notice that spam comments still get through, I will install another anti-spam plugin. After installing the anti-spam plugin(s) on your website, I suggest you do regular checks of the messages that have been filtered. Sometimes the wrong messages get filtered for any reason and you might have to tweak your anti-spam settings accordingly. That being said, I am curious to know what measures you have taken to protect your blog from spam comments. You can leave your (non-spam) comments below in the comments field. No tax in Woocommerce? Here’s the fix!